Ready to understand even more Dutch? 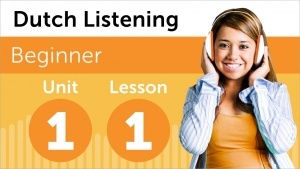 This Dutch Listening Comprehension Series tests you on your listening and makes sure you understand every word. Listen to the dialog, watch the video, and answer the questions asked. This video series is perfect for Beginner Dutch learners or those looking to reach a Beginner level. appreciate your work. Thanks for sharing it. CosmoLearning is promoting these materials solely for nonprofit educational purposes, and to recognize contributions made by Innovative Language Learning (Innovative Lang) to online education. We do not host or upload any copyrighted materials, including videos hosted on video websites like YouTube*, unless with explicit permission from the author(s). All intellectual property rights are reserved to Innovative Lang and involved parties. 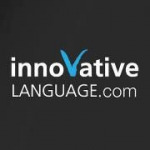 CosmoLearning is not endorsed by Innovative Lang, and we are not affiliated with them, unless otherwise specified. Any questions, claims or concerns regarding this content should be directed to their creator(s).